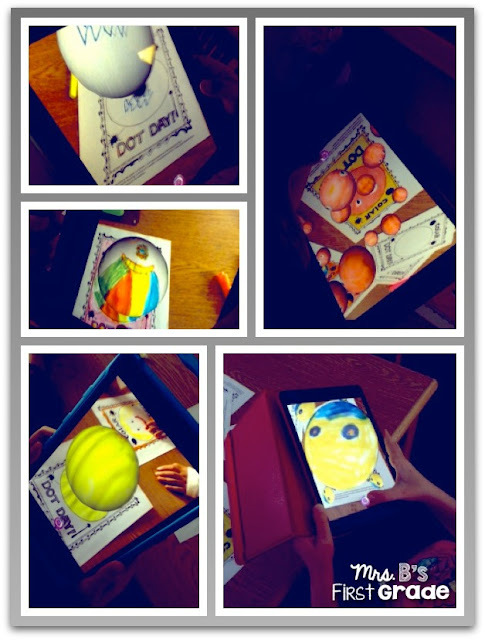 The First Graders celebrated Dot Day on Friday in Library. You can read about the International day here. To celebrate, the class used the Colar App and had a blast. We even saw on our class Twitter account that another class in the United States was doing the same thing. Check out some of the pictures!